All Divan Beds - Double Divan Beds 4' 6"
One of the most popular bed sizes through the years has been the double bed. Roomy enough for two people to sleep comfortably beside one another and ideal for growing children, 4' 6" divan beds can come with underbed storage ensuring you have a clutter free room. The King Koil Spinal Guard Luxury 4' 6" Divan Bed - the original King Koil Bed - was developed with the co-operation of the US International Chiropractors Association. Still a winner today, this Bed provides enhanced spinal care and unrivalled posture support. It's generally accepted that you choose a bed that's 10-15cm longer than the tallest person sleeping in it, so if you feel that a double divan isn't going to give you the room you require, why not choose one size up so that you and your partner can enjoy undisturbed sleep, night after night. Using the latest heat sensitive Visco Elastic Memory Foam in combination with 651 Individual Flexiform Springs, the Dorlux Flexiform Continental 4' 6" Divan Bed provides a luxurious sleeping surface - Currently comes complete with 4 Free Drawers! At Dalzells we have a wide range of 4' 6" divan beds to choose from including open coil beds, orthopaedic double divan beds and of course premium pocket spring divans. To appreciate our great selection of double divan beds, visit us in-store at Dalzell's of Markethill. Stocking leading brands including King Koil, Respa, Kaymed, Staples and Myers among others, we know you you'll find a bed that's right for your needs. Call, visit us in-store, Email or browse our divan beds selection online at our ecommerce site armaghbeds.com. Remember, we provide a rapid free delivery service across Northern Ireland and Counties Dublin, Louth and Monaghan in Ireland (daily services to Belfast and Dublin city) with competitive rates across the rest of Ireland. We'll even collect and recycle your old bed and dispose of all the packaging to help make changing your bed hassle free. 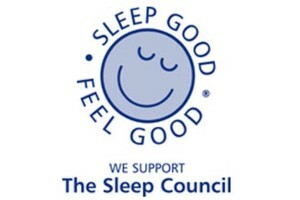 Additional discounts for Multibuy and if you need reassured further, check out our Price Promise and Free Pillows gift.